I was told when I started business in 2003 “make sure you find a good accountant”. It was good times then, although more than a decade later, things have changed and while this requirement is still very true, small business owners today need more than just a great accountant. This is where Purple Patch advisory entered my game plan for the future. As the landscape of business changes and becomes more complex and competitive than ever before, it is easy to lose sight and ‘take your eye of the ball’, simply by attending to the responsibilities of the day to day operations of your business. As a consequence, it is easy to become lost and lose sight of the key objectives; this is why I contacted Purple Patch Advisory. As a result, I can personally credit Purple Patch Advisory as having an integral part in realising the future direction of my business in a way that provides a competitive market edge via innovation and experience, but all within a real world way, that’s relative to my world of doing business, not only today, but also in the future. Of course, every business is different and today a business advisory service needs to be more than simply realising internal strengths and capitalising upon these to create the market edge required to continue. Therefore I would strongly suggest you contact Purple Patch Advisory to find out just what they can do for your business. 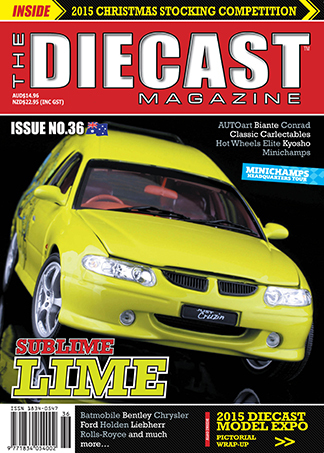 The Diecast Magazine – Australia/NZ + North America. I have been consulting with Glen Thompson as a client ever since he became a Partner with PJS Accountants in 2003. 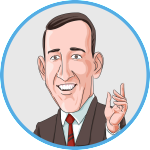 His accurate and effective advice has been paramount in the tax planning and financial operation of my company and personal investments. Glen has always found time to make himself available to answer my many queries honestly, and to offer his assistance and advise while aiding me to make the correct crucial business decisions. I owe the great financial success of my company and personnel investments to the accurate advice offered by Glen Thompson of Purple Patch Advisory, and would not hesitate to recommend his service to any of my many friends or family. Glen also currently offers effective advice while assisting my Daughter and Son in law with their successful personal investments and tax planning. Glen Thompson and Paul Read from Purple Patch advisory have been the most impressive, astute and professional advisors and accountants our business, Rentfresh Property Management has experienced to date. We required a recent detailed and in-depth audit to satisfy current legislation and Glen was successfully able to direct me toward a very helpful Auditor with years of experience, the process was easy and effortless. Glen’s easy to understand, transparent and speedy communication on directorships, setting up trusts and advising on all the facets of business and personal tax has now placed our company in a strong position for years to come. I positively encourage anyone seeking a modern and up to date Account or Advisor to entrust in Purple Patch & the team. Michael Feletti – Licensee Rentfresh Property Management.